Pakistan has made a slight improvement in the ‘Corruption Perception Index (CPI) 2018’ released by the Transparency International on Tuesday, with score of 33 out of 100 — one point better than the one in 2017. 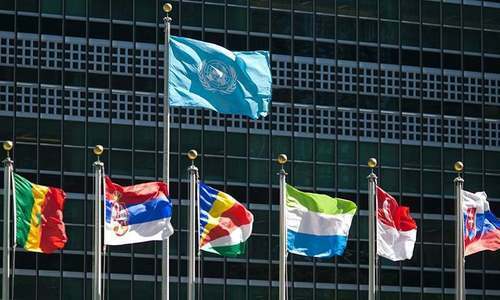 The country’s ranking of 117 out of 180 countries, however, remains as it was in 2017. On the release of the 2018 Index, Chairman of Transparency International Pakistan, Sohail Muzaffar, said that Pakistan has to act seriously to control "rampant corruption" in the country. The economic condition in the country cannot improve till this menace is tackled, he said. "Foreign businesses check the ease of doing business before taking the decision to start working with a country. 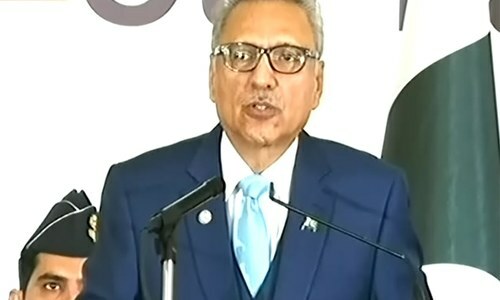 Pakistan will need to improve its ranking in the various International surveys to attract foreign investments which is necessary for it to improve its GDP growth rate," Muzaffar said. He added that exemplary punishments should be given to all those involved in corruption. Anti-corruption laws should be strengthened and agencies governed by these laws should be able to easily prosecute the corrupt. The 2018 CPI reveals that the continued failure of most countries to significantly control corruption is contributing to a crisis of democracy around the world. More than two-thirds of countries have a score below 50, with an average score of only 43. Since 2012, only 20 countries have significantly improved their scores, including Argentina and Côte D’Ivoire, and 16 have significantly declined, including, Australia, Chile and Malta. Denmark and New Zealand top the index with 88 and 87 points, respectively. Somalia, South Sudan, and Syria are at the bottom of the index, with 10, 13 and 13 points, respectively. The highest scoring region is Western Europe and the European Union, with an average score of 66, while the lowest scoring regions are sub-Saharan Africa, with the average score 32, while Eastern Europe and Central Asia have the average score of 35. India ranks 78th in this list. I thought it has improved ever since PTI Government has take over. Great news. Within just 4 months corruption index started improving. Hopefully major improvement in the index will be seen next year. Agree that we need to amend the laws to quickly prosecute corrupts. NAB and accountability courts should be strengthened further and given full support. Slowly and steadily PTI doing very well to control the corruptions and sending the culpirits to the long term jails to deter others . Lets see how PTI Government improves Pakistan's ranking in next four years??? Corruption has increased in day to day activities. Ask a normal person on the ground and do the surveys outside of the vicinity of Cantonment and DHA regions. Stop manipulation of the numbers. You cannot fool all the people all the time. India scored 41 this year. Last year it was 40. The improvement is cosmetic. PM Imran should read this and know that his team is an unwilling participant in the cleansing. Either deliver justice and an end to corruption or please go home. Control corruption and bye bye investors..
just the start. under PTI, Pakistani ratings as non corrupt country will improve. This is why during the last few years Imran Khan is making noises about our high corruption rate and our country is 117 position in the CPI's list. There is no doubt, we have to dispel corruption from our society and improve our rating. Otherwise, it will seriously affect our economy and future investment. I don't think, we will complete get rid of corruption, because, during the 20+ years people's perceptions about black activities have been encouraged by Nawaz Sharif, Shabaz Sharif, Asif Zardari and their cronies. No wonder, we are only positions above from bottom of scale, because our past leaders have been CORRUPT and looted tax payers money through different means. A sample survey of a few thousand people in a country of 200 million people doesn't show the true picture. @Sincere Pakistani, My dear man, PTI government itself is corrupt. No chance they can improve our rating. India meanwhile is doing better under Modi. With PTI in power, corruption will hit rock bottom by next year. Expect a rank in top 25 if not better. India is ranked 78. The score has improved by one point compared to 2017. The ranking has remained the same when compared to 2017. China’s rank in 2018 is 87 lower than India. For any country it will take a decade of consistent enforcement of laws to improve the score and ranking substantially. Corruption, corruption and no doubt we have to get rid of corruption from our society and severely punish those who have been involved, and looted tax payers money. There is no other way and if we do this then we will never prosper, no foreign country will invest and corrupt politicians will continue their black activities. There will be no law, rich will get richer and poor will get poorer. It is our choice to stand against corrupt mafia once for all for the sake of our children and future generations. 1) Corruption at lower levels: This is created primarily due to gap between "Demand & Supply" between national resources. In countries where economic conditions are poor, the populace do not get basic facilities which an average global citizen deserves and this creates false justification & a logic of "WHY NOT ME" phenomenon to obtain those resources by going out of the way leading to corruption. This is the most common form that impacts society at large in the country & cannot change drastically unless the economic conditions of that particular country improves. 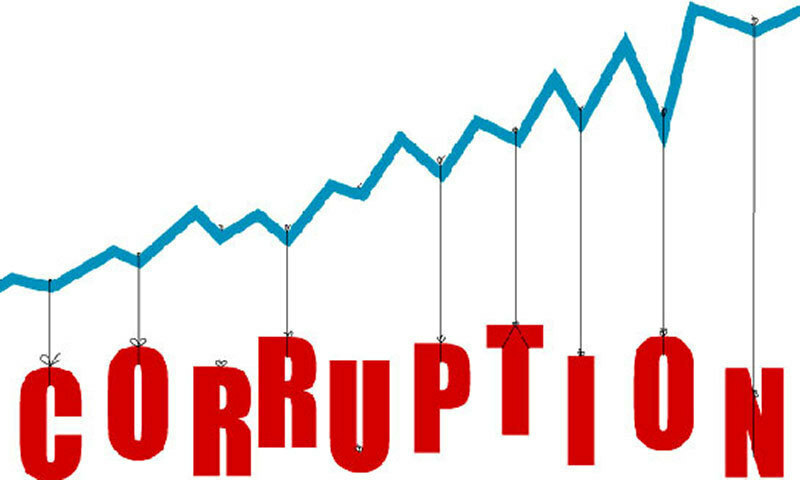 2) Corruption at higher levels : This is created primarily out of "HUMAN GREED" and EXISTS IN ALL COUNTRIES in varying degrees and primarily among people in political strata as well as those people who possess "Political or economical "POWER". This form of corruption will never end. Corruption has no permanent home... It is in every land! Not 100% Corrupt. ONLY 99%. @Sincere Pakistani, New government but old civil servants hand picked by PPP and PML- N still there. Until new honest blood comes, things will change slowly. @Mohsin Malik, This is not the result of survey by any local organisation. This survey is published Worldwide as it is conducted jointly by World Bank IMF and Asian development Bank. It is an impartial survey spread over performance of 12 months so no individual can take credit of it. Let's not give our negative opinions for the purpose of criticism only.